More food in BO? Il famoso Mercato di Mezzo. Just when I thought I was finally getting a handle on the food Bologna has to offer, they throw me a curve ball! Like the facade of San Petronio, ever since I arrived in Bologna in September 2012, there has been a second edificio of Bologna that has maintained its scaffolding since Day 1. This building, however, seemed to be much more hidden and less conspicuous even with it's close proximity to Piazza Maggiore, so it's scaffolding went practically unnoticed to foreigners and non natives until 2 weeks before its grand opening. It's not to say that I was blind to this so called "Mercato di Mezzo" one of the oldest markets in Bologna. In fact, I had noticed work being done in the streets between the Quadrilatero and Galleria Cavour, next to the lovely church of Santa Maria della Vita during my many walks to get coffee or to peruse the freshest fruit and grab 250 grami of fresh pasta. But to be honest, I never expected anything to come of it, and quite frankly I was unaware of what exactly the space used to be. All I was aware of was that an old building known as the Mercato di Mezzo was under construction and that it appeared to by physically worked on rather infrequently, that is, until the end of March 2014. Late March, my roommate had mentioned that the renovation of some old "Mercato di Mezzo" was almost complete. I was utterly confused and quite honestly had not a clue as to what Zoe was referring to. But then she helped me connect the dots, and I soon realized that the Mercato di Mezzo was that mysterious building that had been under construction right in the center of Bologna since I had arrived. Aha! Comunque... I still didn't quite understand what the renovation consisted of or what the interior of said market could have looked like before construction and what it was to look like after construction... so I googled and googled to find out more about the Mercato's grand opening and google failed me. I found a couple of articles briefly describing the project and the opening, but facts seemed to be misaligned and there really was not a great amount of information available on this famous Market. And I really had to go digging for it! The first article I can find was written February 4th 2014 and contained mainly speculations that it would open in April and more speculations about what would be housed inside. What was clear from the articles was that the Mercato di Mezzo was in decline before 2008 and was not utilized. So 2008 marked it's revamp and began year one of a six year restoration period with few inclinations on what it would become, but the goal was to revitalize the rich gastronomic and cultural traditions that the building represented in Bologna's history. Come opening day, I believe the scope of the project was achieved. Despite the lack of media attention that I felt the hard opening of the Mercato di Mezzo lacked, the number of people who visited the Mercato di Mezzo on opening day proved that this date was marked on the bolognese people's calendars as a day not to miss. Of course being the foodie lover that I am, I could not miss the grand opening of the Mercato di Mezzo. My plan included aperitivo and mortadella... what could go wrong? That's a good questions... The downfall was that aperitivo and mortadella seemed to be the whole city of Bologna's plan as well! The place was a ZOO! Hardly enough room to shuffle through the entire building. The minute I stepped in, I knew I wanted to get out, but I had to spend five minutes pushing people from one end to the other all without seeing any of the treats and stalls the new market had to offer. The good news is that the Mercato di Mezza was already a hit and even lack of advertisement couldn't deter the crowds, bad news is I had to wait nearly 2 weeks before a normal flow of people went through the market and I could enjoy my Pignoletto Frizzante and mortadella. From that week on, Mercato di Mezzo was where I went to waste time and to try new wines, new craft beers, and different ingredients in my piadine and crescentine. No complaints! You can't find a place more central than the Mercato di Mezzo besides Piazza Maggiore itself. Anyone who goes anywhere in Bologna might find themselves walking past the Mercato di Mezzo, and at any point in time could be craving a snack... It's a perfect solution! Immersed in the neighborhood known as the quadrilatero, the Mercato di Mezzo is a great addition to complement products the neighborhood already has to offer including fresh fish, meat, cheese, fruits, vegetables and pasta, now shoppers can stop to grab something pre prepared if they get hungry during their daily grocery shop. The quadrilatero being known for it's fresh produce and products is also one of Bologna's favorite tourist attractions, the bright colored vegetables and many 38 kilo (84 pound) wheels of Parmigiano-Reggiano casually displayed in store fronts are a sight to see, but unfortunately tourists don't have enough time to cook on vacation and custom laws and baggage restrictions sometimes detract visitors from bringing home that fresh wheel of cheese or a kilo of fresh tortellini con carne! Now the Mercato di Mezzo offers those visitors fresh piadine made with fresh ingredients you could find during a normal grocery shop in Via delle Pescherie Vecchie, along with beer, wine, gelato and other treats visitors might be craving after waltzing through the vibrant quadrilatero. The inside of the market is a stark contrast to the cobblestoned streets and painted portone of Via delle Pescherie Vecchie. That being said, it is perfect to have the old and the new nestled in the quadrilatero so that you can be amazed by both worlds. The inside of the Mercato di Mezzo has a white, sleek, clean, and modern effect. Wood top tables are scattered down the middle with funky short and tall ghost chairs scattered throughout. The food stalls run laterally down both sides of the building and have white back drops, brown wood counters and sleek stainless steel accents and lighting to create a cool modern vibe. The ceiling has windows across so light flows in effortlessly allowing for an almost open feel inside. On the second floor, the famous Eataly Pizzera thrives on what appears as just a floating wood platform raised above the ground floor and enclosed with short glass sides. The tables up at Eatlay are also ghost chairs accented with a flash of orange color, and the whole ambiance is just open, cool and modern. What's not to love!? The variety inside the Mercato is extraordinary. I've walked passed the location many times thinking wow, I'm craving Gelato, or wow, I miss home, I could really use a hamburger, or wow, I could use a beer... and for every craving there is an answer! Birreria Artiginale Baladin - An artisanal brewery from Cuneo, Piemonte. Pints are just 4 euro. 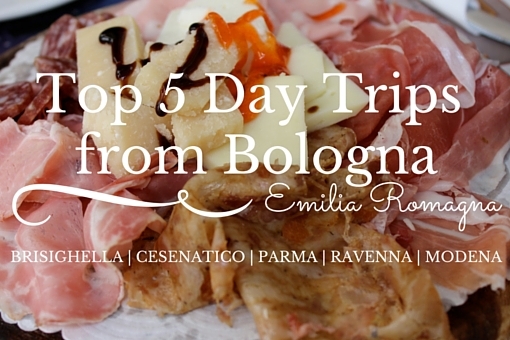 RoManzo - Where I now go when craving a hamburger in Bologna! La Centrale del Gusto - That includes a pasticerria, gelateria and bar that Gino Fabbri perfected with Granarolo. So pastries, good coffee and gelato are all found here! DeGusto Coop Adriatica - A mini supermarket where you can find Alce Nero and Fior Fiore products, or also grab a tagliere misto and a glass of wine, or little stuzzichini for Aperitivo! Forno Calzolari - If you're in need of fresh bread, this little forno which was founded in the heart of Monghidoro, in the Bolognese Appenines, also sells in the Mercato di Mezzo (Organic flour and local grains!). Pescheria Del Pavaglione - With their fresh fish shop located just around the corner in the quadrilatero you never have to second guess the freshness of this food. The stall in the mercato has fried calamari, misto fritto, and many other yummy fish salads. Enoteca Regionale dell'Emilia Romagna - The original is a destination not to miss if you have the time, founded in Dozza, a small town east of Bologna, the enoteca has wine tours and has all regional wine and is found in a cute little city filled with street art, but Dozza isn't the easiest to travel to if you don't have a car! Luckily, you can find this little piece of Dozza in the mercato di mezzo now, along with all of it's fabulous regional picks... My favority - Pignoletto! Grandi Salumifici Italiani - A great choice for fresh meat plates, grab a tagliere misto here for a great price. They make crescentine and piadine to order as well, always fresh ingredients. Not to miss! Pizzeria di Eataly - Last but not least you'll find fresh pizza cooked in a wood burning oven on the second floor of the Mercato. Eataly uses the freshest ingredients, including organic flour from the Mulino Marino, and accompany their pizza with great beer! Baladin or Peroni! You pick! Finally, all of the above factors lead to an excellent social atmosphere. The types of stalls, bars, gelateria, birrieria, enoteca etc. lead to an overall excellent choice for social affairs. It's quality, location, and outside seating availibility also make excellent reasons for people to head to the Mercato di Mezzo for an aperitivo, or to grab their morning coffee on the way to work. You can count on me asking my friends to meet me there to grab a glass of Pignoletto or a birra from Baladin, without a doubt!